Verra is committed to helping reduce emissions, improve livelihoods and protect natural resources across the private and public sectors. We support climate action and sustainable development with standards, tools and programs that credibly, transparently and robustly assess environmental and social impacts and enable funding for sustaining and scaling up these benefits. We work in any arena where we see a need for clear standards, a role for market-based mechanisms and an opportunity to achieve environmental and social good. Verra was founded in 2005 by environmental and business leaders who saw the need for greater quality assurance in voluntary carbon markets. We now serve as a secretariat for the various standards we develop and programs we manage, as well as an incubator of new ideas that can generate meaningful environmental and social value at scale. The strategic direction of Verra is set by both staff and the Verra Board of Directors. Our headquarters are in Washington, DC, and we have staff working remotely in various parts of the world. Verra is a registered 501(c)(3) not-for-profit organization. VCS Program. Our flagship program allows vetted projects to turn their greenhouse gas (GHG) emissions reductions into tradable carbon credits. Since its launch in 2006, the VCS Program has grown into the world’s largest voluntary carbon credit market. The program has registered more than 1,400 carbon reduction projects worldwide that have reduced or removed more than 300 million tonnes of CO2 equivalent from the atmosphere. VCS Jurisdictional and Nested REDD+ (JNR) Framework. 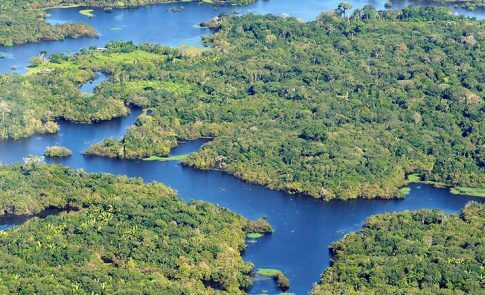 As part of the VCS Program, JNR provides guidance to governments to support the design, implementation and integration of projects and programs that conserve and enhance forests at national and sub-national levels and leverage carbon finance. One of the defining features of JNR is its ability to provide a pathway for individual projects and private investment to play a role in REDD+, thereby enabling much-needed finance and know how to address deforestation at scale. Climate, Community & Biodiversity (CCB) Program. The CCB Program leads in shepherding and promoting the design, implementation and independent assessment of multiple-benefit land-based climate change projects. Verification to the CCB Standards ensures that projects are improving livelihoods, creating employment, protecting traditional cultures and endangered species, and helping secure tenure to lands and resources, as well as making a key contribution to combating climate change. Sustainable Development Verified Impact Standard (SD VISta). The SD VISta Program, currently under development, will provide a flexible framework for assessing and reporting on the sustainable development benefits and Sustainable Development Goal contributions of project-based activities, helping unlock new sources of finance to support and scale up high-impact efforts. SD VISta will support projects that meet the needs of the present without compromising the ability of future generations to meet their own needs. Verra California Offset Project Registry (OPR). Under California’s cap-and-trade system, entities covered by the cap may purchase and retire carbon credits generated by GHG reduction projects as a way to satisfy a portion of their regulatory obligations. The California Air Resources Board (ARB) has approved Verra as an Offset Project Registry, meaning Verra helps ARB administer this aspect of the cap-and-trade program. As the global leader in the voluntary carbon market, Verra is uniquely equipped to support market participants within the California system. Initiative for Climate Action Transparency. The Initiative is building a methodological framework which countries will be able to use to transparently measure and assess the impacts of their climate policies and actions. This includes guidance for measuring the effects of these policies on reducing greenhouse gas emissions, as well as their ability to respond to sustainable development needs and drive transformational change. Working initially with 20 developing countries, the initiative aims to help governments build capacity to measure the effects of their policies and report progress publicly. The aim is to foster greater transparency, effectiveness, trust and ambition in climate policies worldwide. Landscape Standard (LS). 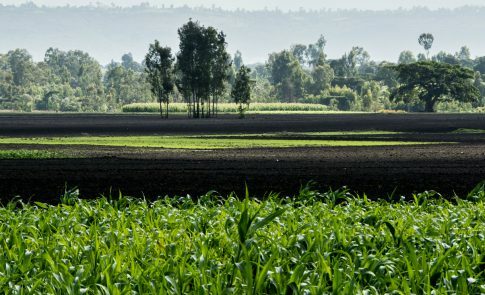 The Landscape Standard is being designed to enable the streamlined assessment of the key environmental, social and economic outcomes associated with sustainable agricultural landscapes, and to help link these to emerging green supply chain incentives and diversified sources of finance. The LS aims to address natural and agricultural systems together, so that both agricultural production and ecosystem services can be maintained.